Christmas shoppers were confronted by far-right demonstrators in burqas singing anti-Islamic carols as Santa’s female helpers. 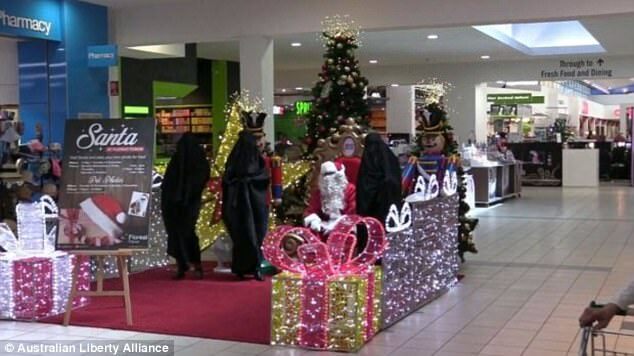 Three women clad in the black Islamic clothing sang ‘Jihad Bells’ to people buying presents at the Floreat Forum mall in Perth‘s western suburbs. A witness said the political stunt, also involving a man in a Santa costume, was inappropriate considering there were many children walking past the Christmas display outside a pharmacy. ‘I thought it was terrible. They just took over the Father Christmas area and did this all of their own accord,’ she told WA Today. I beg to differ. Wish I was there! 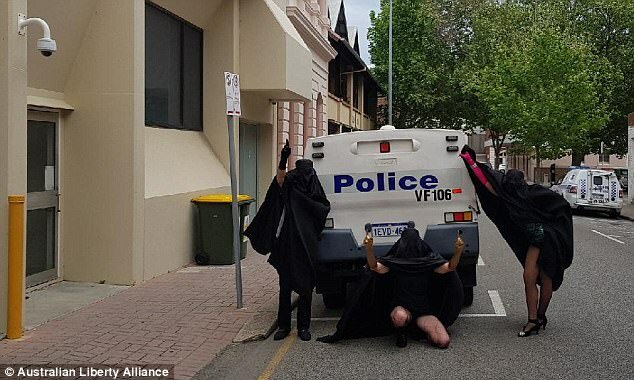 The protesters were from the far-right Australian Liberty Alliance, which deploys the self-described ‘Taliban tarts’ across Australia to protest against the ‘Islamisation’ of Australia. Centre management told Fairfax Media there had been a complaint regarding the ‘Taliban Tarts’ on Tuesday morning. 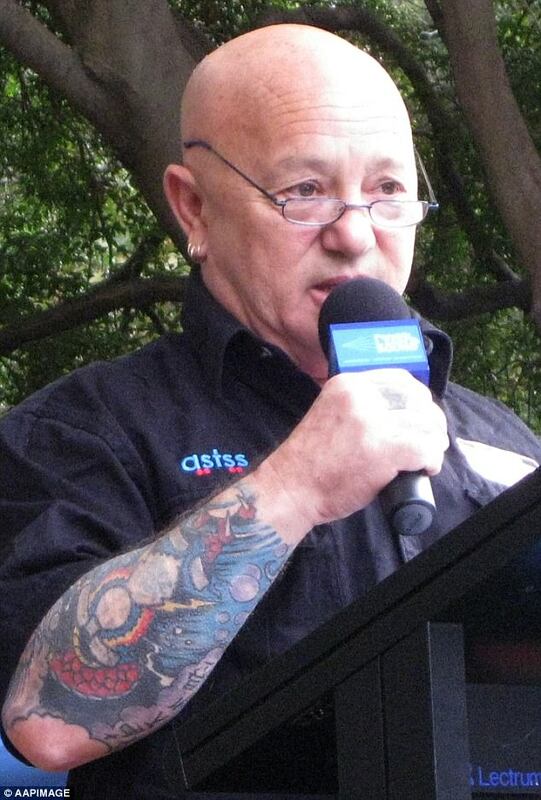 Angry Anderson, the former lead singer of rock band Rose Tattoo who ran as a Senate candidate last year with the Australian Liberty Alliance, said the burqa demonstration was a bit over the top. ‘I find it uncomfortable. I think it’s extravagant singing carols in a burqa,’ he told Daily Mail Australia on Wednesday. 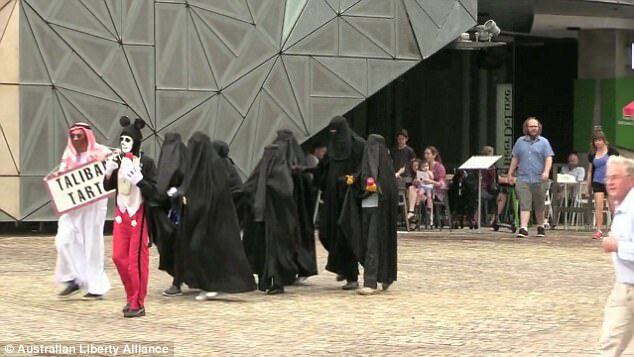 However, he said the demonstrators were making a relevant point about the burqa in Australia. ‘I don’t think it’s any secret the ALA finds the wearing of burqas offensive,’ he said. ‘I certainly do. I don’t care what people wear in the privacy of their own home – if I want to walk around in a house in a G-string, I shall – but I won’t do it in public.